I just found out that I will make you smile! Only Carl D’Agostino can make you smile. Didn’t I just write about my unipolar personality for the whole week when I participated in Let’s Talk? I thought I will become as famous as Clara Hughes. Instead, my STATS flatlined! An introverted mind that determines how I interact with my environment. Observant energy where I direct my mental capacity. My nature is closer to 60% feeling in decision-making and coping with my emotions. My tactical approach is less judgmental and more on the prospective side in work, planning, and decision-making. And this is BIG, it describes identity. Identity underpins all of the above. It tested that I have no identity crisis. Meaning, I am assertive. Huh? Really? This is so uncouth. Go ahead. 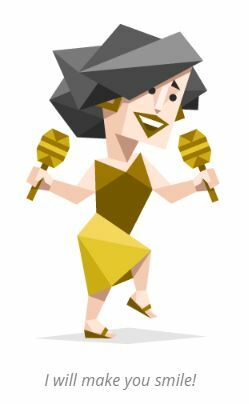 Try your personality test and let me know how accurate this is for you. This entry was posted in Humour and tagged Assertive, Decision Making, Emotions, Humor, Introvert, Myers Briggs, Mystery, Personality Test, Theory by Perpetua. Bookmark the permalink. I think I’ll try it! Just to see if it really can tell me who I am…or is it just the answers you feed it?? Very good, T. An assertive defender. Wasn’t that fun? Tee hee..
An assertive introverted mind – you wouldn’t think it possible but I think there’s living proof at this house also! What is the chance of having the same personality trait in other parts of Canada, eh? Very interesting, Perpetua. I am a defender, too. I wanted to comment on your other posts, but there were so many thoughts in my mind and I didn’t know where to start 😉 Good articles always do that to me. Thanks for writing them, Perpetua!